GDPR Compliance Plugin is really simple to set and customize. 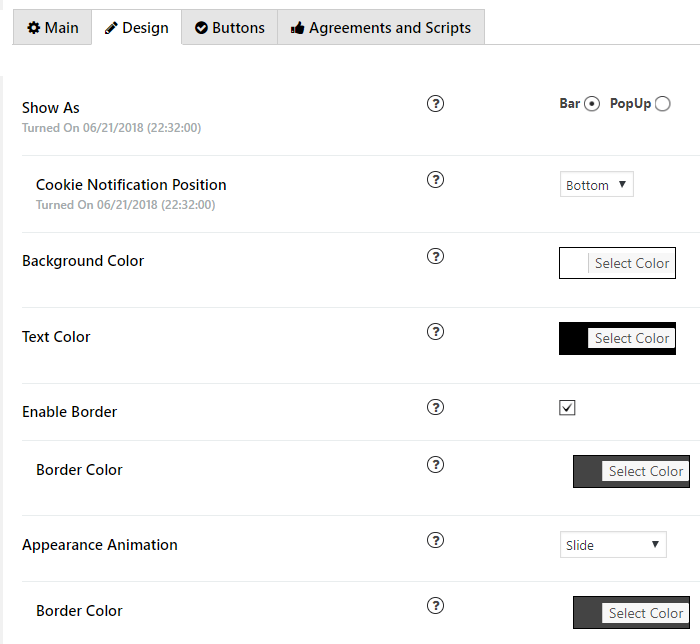 You can look quick the admin panel screenshots to be convinced that we have enough settings to satisfy all your requests but they are quite easy to setup. Enable the option of Cookies notification. 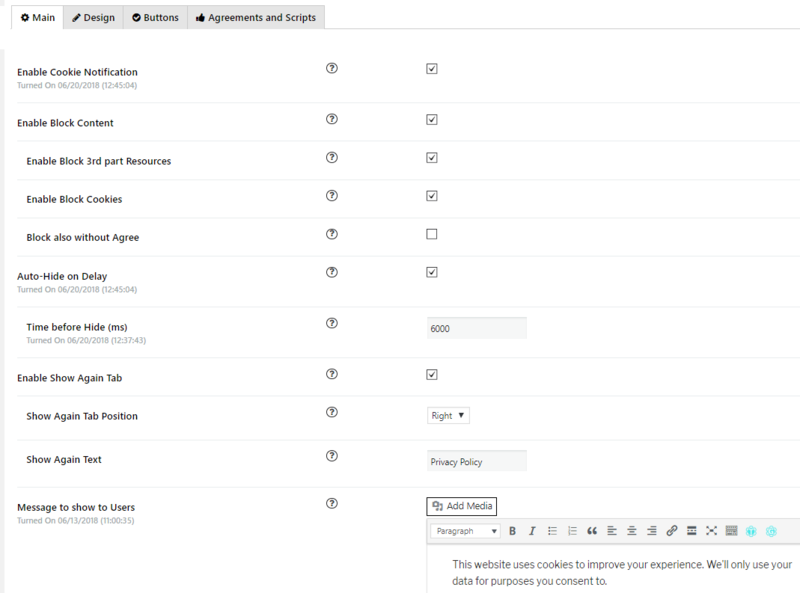 Enable Block Content – Enable Block 3rd part, Enable Block Cookies, Block also without Agree. Select the option to show tab again and position on website. And main thing – put the text of your notification. 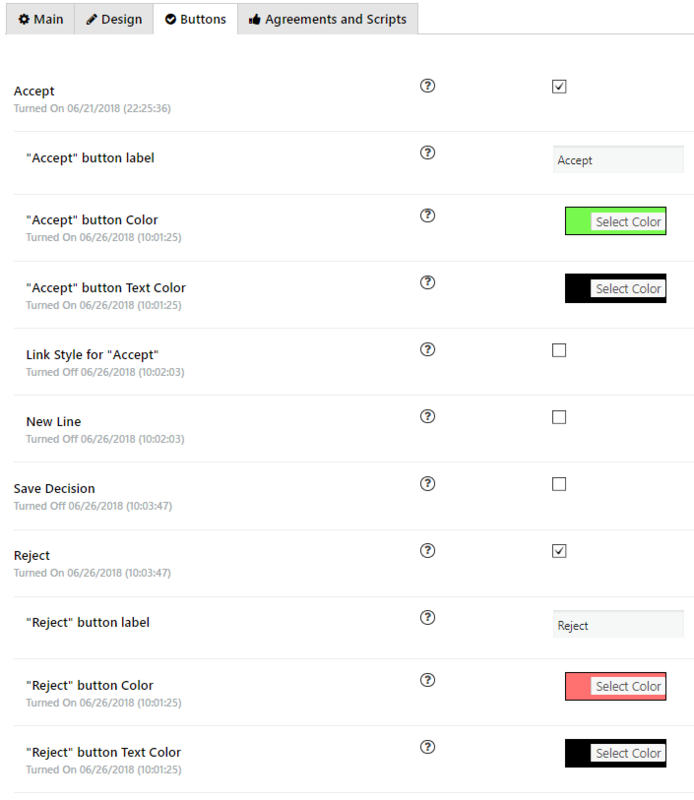 Every button is customizable and you can try to set it with your preferences. All detailed instructions how to set the GDPR Compliance Plugin you can find in the MAIN SETTINGS tutorial. Try it now and make website more close to being GDPR compliant in minutes!